Private affordable holiday Taupo Retreat in Hilltop. Central to everything. Very spacious living for large families and groups. this property are simply amazing. 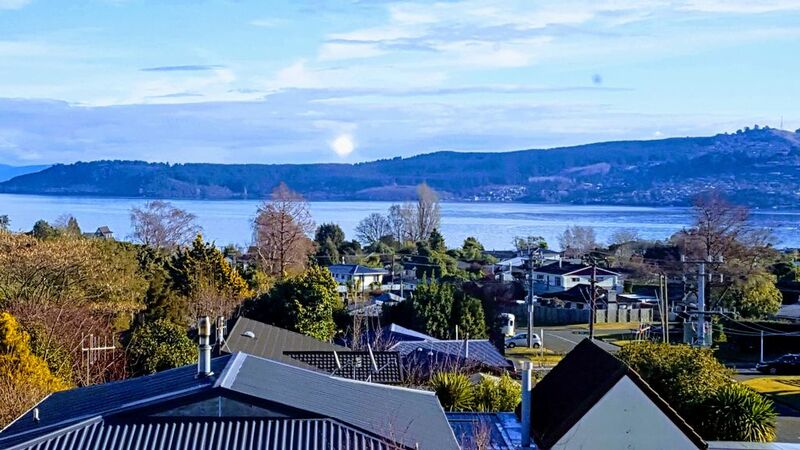 Close to Taupo town centre and within walking distance. Storage for Jet skis and boat. No parties, but quiet drinks are fine. Clean up after yourself. We have a wood burner in the lounge that heats the entire house. There are also oil heaters in all the bedrooms. There is a carport up main driveway. Hi We had a great few days staying in the house catching up with family at the start of the school holidays. There was plenty of room for my sisters and my children to catch up - with loads of bedrooms and plenty of living space. The kitchen had everything we needed. The house is close to town and the hot pools at De Bretts. Would love to come stay again. Good location and huge house - plenty of room to move. We had a great weekend thanks. The house was awesome for our group. Plenty of beds and space in living and kitchen areas. Great location, wonderful views, spacious, exactly what we were after. Thanks Nikki! I'm so glad the place suited your groups needs. It's great for large groups! Thanks for the booking and look forward to another. We loved staying here, so much room for our two families and everything we needed. Nice and close to town and an amazing view! Good location, great view of the lake! Good location, great view of the lake! Brilliant sized house for the number of guests, plenty of room for everyone. Other tenants on the property were separate and no bother at all.